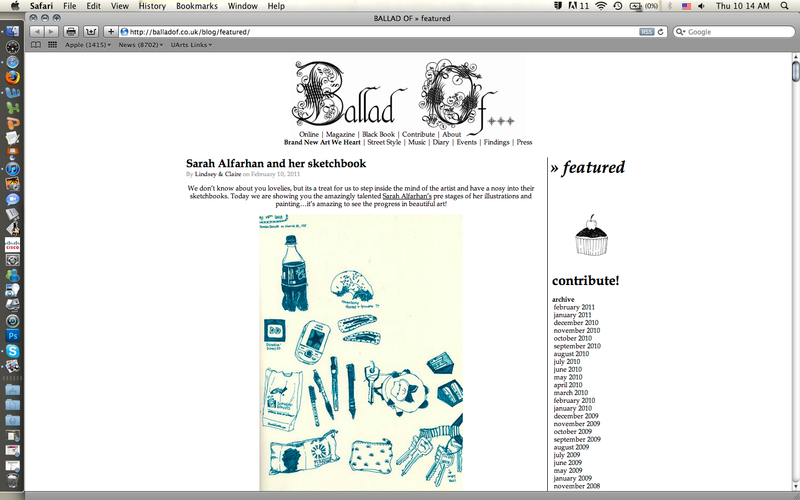 Sarah Alfarhan: Ballad Of Magazine feature! 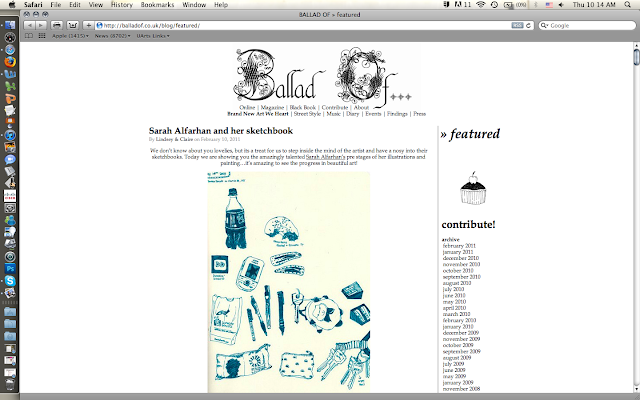 Check out 'Ballad Of Magazine', they have featured pages of my sketchbook! Read the post by Lindsey & Claire here!